Alexander III of Macedon, commonly known as Alexander the Great, was a king of the ancient Greek kingdom of Macedonia. He succeeded his father Philip II to the throne at the age of twenty. He spent most of his rule fighting his way through Asia and northeast Africa, creating one of the most diverse and experienced armies in history. By the age of only thirty, he had conquered territory from Greece all the way into northwestern India, forging one of the largest empires of the ancient world. He was undefeated in battle and often fought alongside his men, shielded by his loyal Companions. He remains one of history’s most successful military commanders. 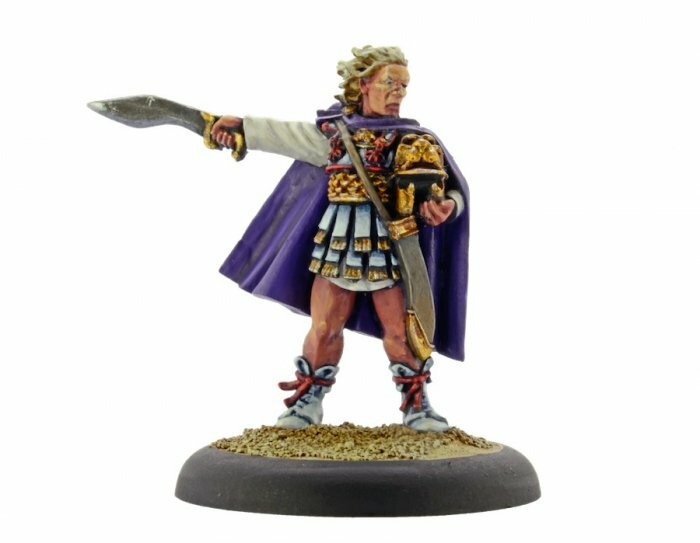 28mm sized metal figure, supplied unpainted. Limited to 500 models, each comes in a numbered gift box.